The first few episodes of this show are hosted by Jerry and another guy, and Jerry says a bunch of really racist and misogynistic things. I'm hoping it gets better once Tracy comes on board. If not, unsubscribe. Ignore the bad review. This show is great! I have no idea what Teresa is talking about. This show is a man and wife duo and it's pretty good. Jerry and Tracy talk about cases of missing people from our national parks made famous by David Paulides' book series Missing 411\. The newest edition of Hillbilly Horror House and David Flora from Blurry Photos tells us about Lemp Mansion. Jerry and Tracy kick off the month of Halloween with what many consider to be the most haunted location in England, Ancient Ram Inn. We have 2 special guests. An anonymous practitioner of Santeria comes on to tell us about the religion and Andrea Whitney, Editor and Chief of the Jasper Newsboy comes on to talk about a personal paranormal experience and WM3. 95: The Devil Made Me Do it Case. Jerry and Tracy take a look at one of the most intriguing paranormal stories ever. The Demon Murder Case in Connecticut in 1981\. Deana Marie from Twisted Philly and Jeremy Collins from Podcast We Listen To join us for a discussion of personal paranormal experiences. Jerry and Tracy discuss the very creepy Mummy Museum of Guanajuato, Mexico and a serial killer from the same town, Tadeo Mejia, who sacrificed humans in Satanic rituals in hopes of communicating with his deceased wife. Jerry and Tracy join Phil Holmes from Scared? and Worst Crimes Ever and Lee Solway from Realm of the Supernatural to discuss the legend of Loch Ness. Jerry and Tracy discuss Kyteller's Inn located in Kilkenny, Ireland and the story of the bars original owner Alice de Kyteller, the 1st person in Ireland to be put on trial for being a witch. Tony Brueski from Real Ghost Stories Online and The Grave Talks stops by to discuss shadow people. 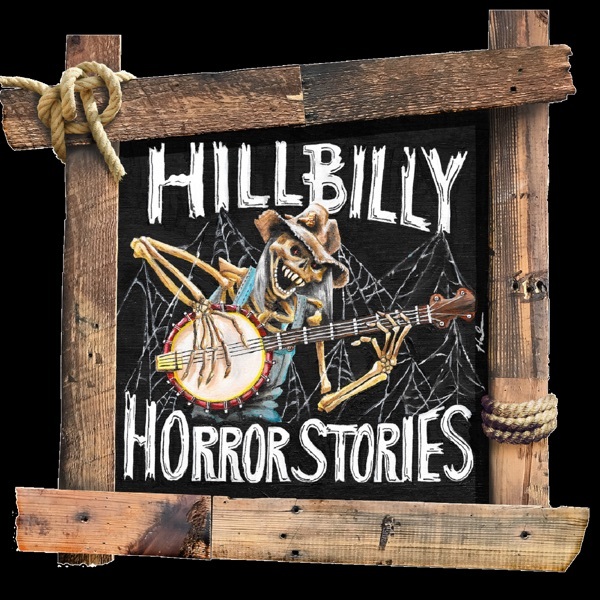 Jerry and Tracy revisit Ep.7 of Hillbilly Horror Stories when Ricky and Jerry covered Waverly Hills in Louisville. Fresh off of 2 tours of Waverly the night before, Jerry and Tracy have all of the ghostly details! Special story of strange occurrences in her new home by Chelsie in California. Jerry and Tracy talk about one of the most haunted places in Ohio, The Ohio State Reformatory in Mansfield, OH. Jerry sits down with Adam and Matt from the Graveyard Tales. Jerry and Tracy talk about Whispers Estate in Mitchell, Indiana. Interviews with Kitsie Duncan with the Oddity Files who has investigated Whispers and Chris Webber from Paranormal Skeptic Academy who believes that research shows there is no validity in the hauntings. Jerry and Tracy discuss the infamous Houska Castle in the Czech Republic and talk to Kindred Spirits' Adam Berry. Jerry and Tracy talk about the legend behind Robert the Doll and have a spectacular interview with the master of weird John E.L. Tenney. Jerry and Tracy discuss Squires Castle in Cleveland Ohio and an awesome story of the Bothell Hell House told by the man who lived it Keith Linder. 85: The Tower of London and Phil Holmes of SCARED? Jerry and Tracy discuss the gruesome history and subsequent haunting of he Tower of London. Phil Holmes from SCARED? stops by to weigh in on the Tower and talk about his show. Jerry and Tracy revisit Bobby Mackey's Music world. Great interview with Laura and Angie from Gatekeeper Paranormal who do the tours there! Jerry and Tracy discuss weather the Aztec crash of a UFO. Was it a hoax or an elaborate cover up. Host of Our Strange Skies, Rob Kristofferson stops by to talk UFOs with us! Jerry and Tracy talk about the Purple Church and Concho Indian Boarding School in Oklahoma. Jerry interviews Grant Wilson from Ghost Hunters. Tracy and Jerry discuss 2 of Alabama's most haunted venues. Sloss Furnaces where several people died under a tyrant boss and the Drish House that is haunted by a runaway slave that met a tragic end. Jerry and Tracy talk about several haunted places in Tombstone AZ including the Birdcage Theater , the OK Coral and Boothill Graveyard. We also talk to Amy Bruni from Kindred Spirits and Chad Lindberg from Fast and the Furious and Supernatural. Jerry and Tracy tell a few stories from a listener and interview Chad Lindberg, actor/paranormal investigator. You will know Chad from several films and TV appearances including Jesse from Fast and the Furious and Ash from Supernatural. He was one of the stars of the paranormal investigations show Ghost Stalkers and has a new show coming out Sat. Jan 27th called Chad Lindberg's Badass Celebrith Ghost Hunt. Jerry and Tracy talk about Jamaica's White Witch of Rose Hall, Johnny Cash's haunted mansion and some other haunted Carribean stories. Jerry and Tracy talk about Wisconsin's Summerwind Mansion and chat with Author Craig Nehring about Summerwinfd and his 2 books Wisconsin Most Haunted 1 & 2 as well as his group Foxvalley Ghost Hunters. Jerry and Tracy talk about Jerry's Hometown of Louisville, KY and Author Steve Asher joins us to talk about the Pink Palace in Old Louisville and his new book. Jerry and Tracy talk about the strange case of Emilie Sagee and Doppelgangers. Andrea Whitney from the Jasper Newsboy Newspaper tells about a friend reaching out from beyond the grave to look further into his death. Writer, director and musician John Law comes on to discuss his new movie The Hatred. Jerry and Tracy tell you about the haunted Toys R Us in Sunnyvale CA, Tell you a sad but heart warming story of Jake and his best friend Chris. They also tell you a verry disturbing Christmas story about 7yr old Henry. Ember Hammond, former host of Color Me Dead Podcast joins us for a fun segments on serial l killer facts that you may not now! Jerry and Tracy discuss 2 very eerie unsolved murder cases. Lee from Dont Break the Oath podcast comes on to tell some paranormal stories. Tracy and Jerry discuss the Queen Mary and bring on Nick and Rob from the Brohio Podcast! Jerry and Tracy discuss Hexham Heads, Brian from Ohio tells his tragic story of dealing with the gift of seeing spirits and Joans story of mysterious 911 calls. Jerry and Tracy discuss haunted Gettysburg and Fritz immerman talks about giants and burial mounds in the Ohio Valley. Jerry and Tracy discuss Loretta Lynns haunted plantation in Hurricane Mills, TN and talk to author/paranormal investigator Jack Kenna from Haunted Case Files and Pranormal Survivor. Jerry and Tracy talk about the Highgate Vampire, Read a listeners story and chat with Sean Smith with Bout Time podcast about his paranormal experience! Here is the missing part of the story. Tracy and Jerry discuss Wisconsin' Beast of Bray Rd, the Son of Sam killings and Ryan from Rumor Flies comes on to tell us about haunted bars in New Orleans and an Axe Man of New Orleans twist that you definitely want to hear! Tracy and Jerry talk to McKamey Manor owner Russ McKamey and his most famous participant Christina Buster who is the oldest participant to ever go through. They also discus the Manila Film House where several construction workers were buried in the foundation. Jerry and Tracy discuss the infamous Sallie House in Kansas and talk about the creepy Island of Dolls in Mexico. We also have a touching interview with Nick Hall. Madame LaLaurie, Delta Queen and S.T.A.T.! Jerry and Tracy talk about England's Amityville, the Black Monk house, The curse of Buddy Holly and John Lennon reaching out from beyond the grave. We also talk to Shantel and Marie from the Medium Matters. Tracy and Jerry tell the story of Ed and Lorraine Warren, Talk about the Warren Museum with Ricky, have an awesome interview with Diane and Denise from History Goes Bump. The true story from the movie the Conjuring with an interview with Andrea Perron. Her book about her families haunting was the story behind the movie the Conjuring! Jerry and Tracy talk about the infamous Mothman including the recent sighting in Chicago. Deana Marie from Twisted Philly tells us about Devil's Road in Pennsylvania! Jerry and Tracy kick off the 1 yr anniversary month with their longest show ever.. They talk about the Bermuda Triangle, Justin Timmel from mysterious Circumstances tells about the Donnie Decker story. Chris Cogswell from the Mad Scientist podcast tries to debunk the Donnie Decker story. Tracy and Jerry talk about one of England's best poltergeist cases as well as a military story from Afghanistan. A tribute to Breanna Hall. R.I.P. little angel! Annabelle, Toxic Lady, Cursed movie sets and more! Tracy is on vacation so Jerry has his ad Tracy's kids sit in for 5 awesome stories! Tracy and Jerry discuss cases of people who see heaven and hell. Jerry and Tracy discuss the possession of Anneliese Michel. Inspiration for the movie the Exorcism of Emily Rose. Jerry and Tracy talk about the curse of Bodie and Australia's most haunted house, the Monte Cristo Homestead. An interview with Katie Stewart, star of the Wicked One. Jerry and Tracy discuss the Heidi Wyrick story,the strange disappearance of Christopher Tompkins. Jerry and his son Alex discuss if Chris Cornell was killed by the Illuminati. Interview with the man, the legend, Jim Harold! Jerry and Tracy discuss the I-4 dead zone in Florida, the ghost that haunted Al Capone and Em and Christine from And That's Why We Drink podcast for some fun! Tracy and Jerry talk about the inspiration behind the Blair Witch Project, Moll Dyer from Maryland. Jason and Sam from Not Alone Podcast join us to talk about El Chupacabra and Hy Brasil. Jerry and Tracy discuss the infamous demon hose of Gary, Indiana and talk to author Steve e Asher who wrote the book Hauntings of the Kentucky State Penitentiary. Tracy and Jerry are joined by Andy and Lee fro Don't Break the Oath podcast to discuss the Rendlesham Forest Incident. Jerry and Tracy discuss Elvis Presleys dealing with the occult and him thinking he was a savior and even plotting murders. They also discuss the most haunted house in America, San Diego's Whaley House. Nex is the Poltergeist movie curse! Jery and Tracy discuss the Lizzy Borden murder case and trial and talk to actress Chanel Ryan about her paranormal experiences during her over night stay in the Lizzy Borden house. Jerry and Tracy talk about the true story behind The Haunting in Conneceticut and the Aradale mental hospital in Melbourne, Australia. They also discuss dark history of some nursery rhymes and Tracy reads more rap lyrics! Jerry and Tracy discuss H.H. Holmes, Americas 1st serial killer and his Murder Castle. They also discuss Toronto's Gibraltar Point Lighthouse. They finish with an interview with Mysterious Radio's K-Town. Jerry and Tracy discuss the Gray Man of Pawley's Island in South Carolina who warns of hurricanes, Overtoun Bridge in Scotland and an awesome interview with Jake and Sam from Just a Story Podcast. Jerry and Tracy talk about the inspiration for the Shining, the Stanley Hotel and death knocks. They also interview the Haunted Explorers from Las Vegas. Tracy and Jerry talk about the suiide forest in Japan and talk to Richard McLean Smith -host of the Unexplained. Jerry and Tracy talk about the Winchester Mystery House in California and interview Phil Holmes from SCARED? and Legends Podcast. Tracy and Jerry discuss 2 voodoo priestess Marie Laveau and Julia Brown as well as an interview with Michelle Hill on voodoo. We top off the show with a Hispanic legend -La Llorona! Jerry and Tracy discuss 2 of the greatest unsolved mysteries of modern times. Tracy and Jerry discuss Ouija boards. Origins and history. Do's and Don'ts and some stories dealing with the Zozo demon and a listener story. Jerry and Tracy talk about the origins of the black eyed children and talk about sleep paralysis and actually have 2 interviews with victims of sleep paralysis. Tracy and Jerry discuss a John Lennon song with a paranormal tie as well as the most famous American ghost story , The Bell Witch as well as red a few listeners ghost stories. Jerry and Tracy are joined by special guest Christen Peluso to discuss the Lutz family. Did these things really happen or is it a hoax? The show is followed by an interview with Tony and Jenny Brueski, hosts of Real Ghost Stories Online. These guys are great! Tracy and Jerry tell you the story behind the story of the Amityville Horror. This is the story of how and why Ronnie Defeo killed 6 members of his family and claimed the devil made him do it. Jerry and Tracy discuss the upcoming KSR road trip where Matt and the gang will be staying in the infamous haunted Skirvin Hotel in Oklahoma City. Jerry and Tracy discuss Jerry's experiences growing up in a haunted house and family members with special gifts. Tracy and Jerry discuss the Wickedest Man in the World according to British newspapers. Hear about ow he summoned the 12 kings of hell and so much more. Jerry and Tracy tell you the story of Doris Bither. The true story behind the 1982 movie The Entity. She was attacked and raped by an entity. This is the most documented paranormal case in history. They also read a touching email from a woman who lost her son to cancer and says this show has given her life back. Tracy and Jerry discuss the true story behind the Exorcist and creepy things that happened during the filming of the movie. Jerry & Tracy revisit Rock N Roll and discuss the band Mayhem-If you have never heard of them this story will shock you. They finish with an in depth Look at Stairway to Heaven. Breaking down the lyrics and playing backwards excerpts. Jerry and Ricky discuss the infamous Goatman,the Pope Lick Monster of Louisville,KY and the Candy Man of Houston, TX, Ronald O'Bryan who killed his own child on Halloween. Ricky and Jerry discuss several cases of spontaneous human combustion and some possible causes. Jerry and his wife Tracy talk about Robert Johnson who sold his soul to the devil, The Zeppelin Curse, Lynard Skynard and Hotel California. Ricky and Jerry discuss the Haunted Pillar in Agusta , GA. This is definitely a story you want to hear! Ricky and Jerry talk about one of the most haunted hospitals in America. Ricky and Jerry discuss the Myrtles Plantation just outside of Baton Rouge ,Louisiana. The most haunted place in America. Jerry and Ricky discuss their own personal paranormal experiences. If you do not like this episode-please give some of the newer episode a listen before deciding against listening to the podcast completely. We definitely made some changes for the better starting with episode 5. Tracy became cohost starting with episode 12.